Essential Oil Direct Sales -- Are MLM Essential Oils Worth It? 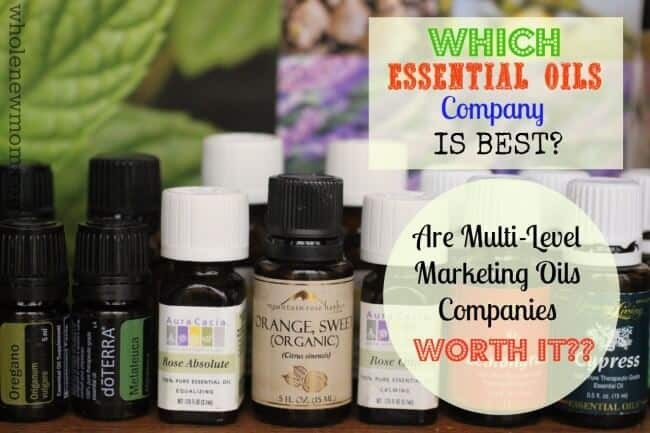 If you've been thinking about, or already are using, essential oils, at one time or another you've likely wondered if you should be part of Young Living, doTERRA, or some other multi-level marketing (MLM) company to get “the best essential oils” at a discount. Today let's talk about these Essential Oil Direct Sales companies up close to see the pros and cons of joining–and whether or not what they have to say is really true. 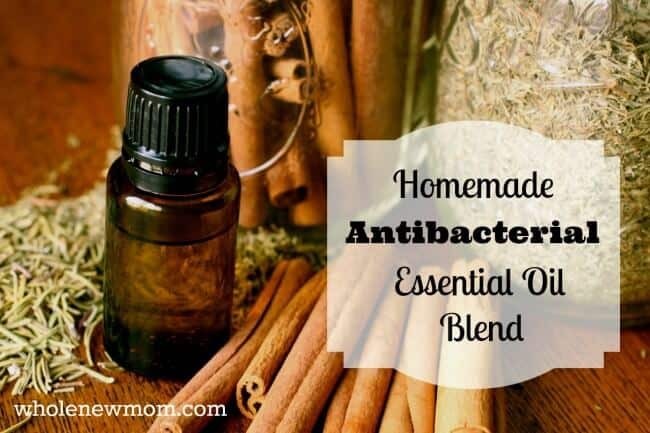 The Best Essential Oil Series continues. Be Young having somewhat of a presence as well. Update 3/17: There are so many more on the market now, with most of them being companies that have other lines as their focus, but have added essential oils into the mix. Now–I'm all about saving money. So of course when I can either buy something at retail, or get the same things for 25-35% off (typical MLM rep discount), then you can bet I'm going to check into it. Well, I've been an MLM rep for a number of different companies, including YL and doTERRA (DT), so here are my thoughts about MLMs–mainly regarding the oils companies, but some of my thoughts extend to other MLMs as well. I did some research into BeYoung but chose not to become a rep of their company. I really like the support available with both YL and doTERRA. I didn't avail myself of all of it, but of what I did, I found doTERRA's support network to be stronger. Both companies had websites with treatment and/or testimonial resources available (actually, the most valuable resources were not but together by the companies, but by outside sources–likely reps high up in the business). Smaller companies don't have such opportunities, typically. That being said, there are some negatives even to these resources and their recommendations (see internal usage below). Of course, you can save money by becoming a rep, but you can also make money when you share the products, and opportunity, with others. I think, when done right, MLMs are fine. Reps are basically paid salespeople who get rewarded for sharing products with others. In fact, though I have dumped a bunch of MLMs over the years, I do work with some that I consider to be superior in product and corporate policy. Those are here, here, and here. All 3 of the Multi-Level Marketing (MLM) essential oils leaders claim that they have a corner on “therapeutic grade,” but their names for it are different. – BeYoung : “E.O.B.B.D.” This certification appears to have roots in Europe, but some claims about it on the internet are not accurate and/or aren't that meaningful. After reading the details of E.O.B.B.D., I believe that any good oils company should be doing all of this. And the “smart guys” in the industry can fool these GC/MS tests. Yes, that's true. They know what the tests are looking for and they know how to get around it. Just like the athletes can fool the doping tests. 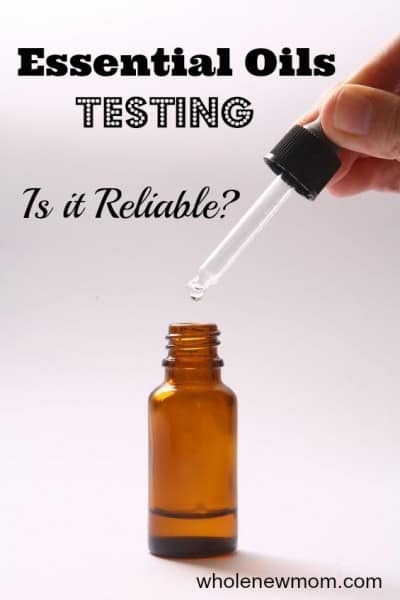 The gist of it is this: YL, DT, and BY all say that only their oils are good enough for you to use because of the testing that they have done. But the reality is this: It looks like they're all about the same–except that YL tests their own oils. The YL and doTERRA names are basically terms made up so that they can have a label to put on their oils (except with Be Young, which actually is using an already determined standard). You can read more in this post about Essential Oil Myths About Purity – Debunked! Now, to be clear, there are non MLM essential oil companies misleading as well–so this isn't just an MLM issue. Like I said, I love saving money. So every month, when I had the opportunity to get a freebie or earn 10-30% credit toward future orders, I felt the urge to buy. And typically I did. Instead, with other companies, you can get rep pricing without signing up! I'm not averse to MLMs that have special products that you can't get elsewhere, but I don't see it being good to get roped in to end up even going into debt to buy more just to stay “active” with a company. I am not up on the practices of Be Young, but I know YL and doTERRA both have a heavy emphasis on internal use of essential oils. I wasn't too concerned about this at first, but as I've learned more I have gotten more worried about this. you need to make sure to supplement with probiotics also because the hot oils destroy not only bad bacteria, but also the good. Makes sense to me. 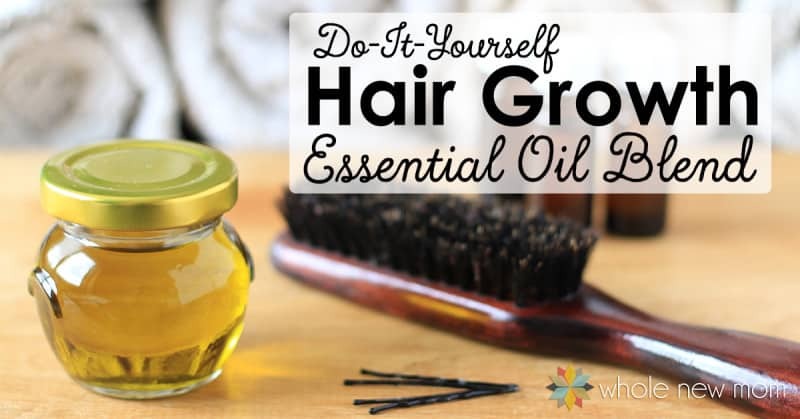 A number of folks in the oils industry have suggested that the reason YL and doTERRA recommend so much internal usage of oils is to drive up usage and drive up sales. I don't know their motivation, but that would make perfect sense. – credit toward future purchases, provided you keep ordering monthly. YL gives you 1 month off each year, but doTERRA has no such grace period. Well, when it came time to cash in my points, I got a little surprise from doTERRA (guess I should have read the fine print). There are fees for using your points. $3 per $100 used. YL takes $1-$4 off of each check–for “maintenance” to “figure out your commission” (quote from a CSR)–just to send you your earnings . doTERRA charges $1.95 for each check cut. I don't mean to be too sarcastic here, but this seems confusing to me. I get that there are fees for printing and sending a check (actually a small business owner commented on this post about needing special ink for check writing, which I didn't know about), but I don't see why there should be a fee to “figure out your commission.” Doesn't software do that? Then, each year, doTERRA charges an annual fee ($25) to be a rep, but they send you a bottle of peppermint oil. Again, I don't mean to be too harsh, but remember my concerns about their peppermint oil? I'm just not sure how much it's worth. I'd really hoped to finish this series earlier this week, but responding to these attacks has taken a lot of time. I assure you–none of this is true and this brings up my final concern about these MLMs. I am NOT anti-MLM. In fact, I'm a rep for NYR Organic / Neal's Yard Remedies – update from 3/16) . But having devotion to a company despite evidence that they are not telling the truth or that their products are not superior taints the reputation of all MLMs and their reps. It's frankly uncalled for. I started checking out various oils companies because I didn't want to recommend any company without fairly checking out the competitors. I felt it would be a disservice to my family and to my readers. I chose the oils company that I will recommend next week because I believe it's a solid oils company with unwavering commitment to quality and purity. As with everything on my blog, if I can make money appropriately from my recommendations, I will do it. This is standard blogging practice. 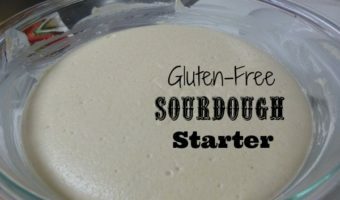 There are things on my blog that I recommend that I don't make any money from–but I recommend them because I believe in them (See my Heavy Metal Toxicity post). I can't promise I'll always be right, but I can promise you that I will do my best, within reason (I do have a family with health conditions, and we homeschool and eat all whole foods) to get the best information to you and correct myself whenever I'm wrong. Stick with this bargain and quality-hunting mama– I hope to share early next week. Which Essential Oil Company Did I Choose? Do you know anything about Plant Therapy essential oils. They say there organic and all the other good stuff. You can buy them directly from the store or Amazon at quite a savings compared to your top two companies. Isagenix has recently started selling essential oils. Do you know anything about them. I have heard good things. Thanks for your help. Hello there! Thanks for reading. I am going to be revisiting this topic hopefully soon. There are a lot of things that I consider like company ethics in addition to purity. I didn’t know anything about Isagenix. It seems that everyone is getting into this business as well as into the CBD business. It doesn’t mean that a company is an expert by any means. I guess there can be pure oils but I would prefer a company that has some kind of real knowledge in it. Isagenix, if I remember, has some ingredients in their products that I am not comfortable with so I personally wouldn’t be interested in recommending them. Hope that helps. Thank you for sharing your research with us, I am deeply sorry you have received negative feedback, which I strongly disagree with. You’ve done a great job with staying positive with your theories and opinions, while maintaining an objective look. Thank you again. Thank you for posting this, it has been extremely helpful.